8. Have you ever taken your pillowcase off and noticed how stained your pillow is? Well I have, and my pillows look gross! 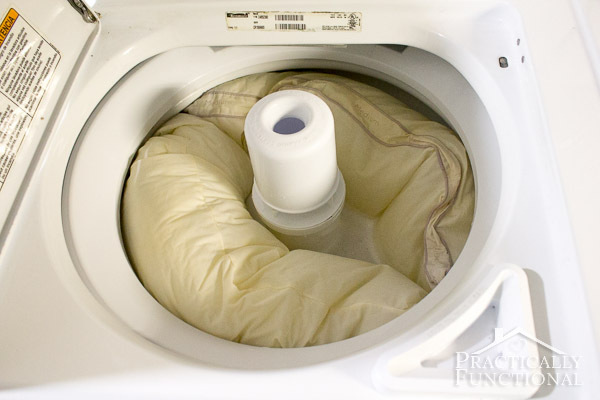 Practically Functional’s instructions on How to Wash Pillows in the Washing Machine will keep your pillows nice and clean.